In the preceding chapter a survey of a number of chemically defined cell groups and pathways has been presented. 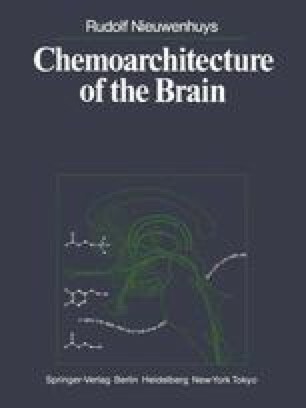 In this chapter I shall attempt (a) to draw certain general conclusions from the data gathered, and (b) to explore the relations between ‘classical’ and ‘chemical’ neuroanatomy. Before embarking on the enterprise just outlined it seems proper to indicate the limitations of this study and to articulate a number of caveats.